Are you a Mac? Are you Sick? If you have a Mac, you may have bragged to your PC friends about having a computer that is impervious to viruses. That all changed recently. Geeks from shore to shore, continent to continent have been talking about the first real Mac virus. About 600,000 or so computers are thought to be infected with the Flashback virus. 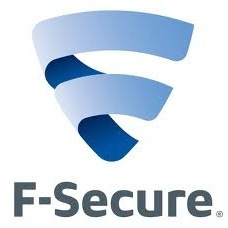 If you think that you have it, use this free tool from Finnish anti-virus company F-Secure. Its free. You can thank them by leaving a note on their facebook page or twitter page. They deserve the kudos. Meanwhile, Apple has issued a statement indicating that it is continuing to work on an official detection and inoculation tool. Mac infections were considered rare for much of the past two decades as a natural consequence of relative market opportunity for the bad guys. Put another way, there were way more PCs than Macs, so there was simply more opportunity for a return on their development and marketing effort. What these means for Mac users is that Mac malware is not just a reality, but is now a genuine problem. The issue is that for a decade, Apple has made a point of telling users that they had no malware problem, and the result of that is that Mac users have no antibodies, when it comes to malware. They don't expect it, and too many people will click on, and install, anything. The bottom line for Mac users: You will have to install and keep current anti-virus programs and make sure all application updates, for things like Java, iTunes and Adobe Flash are quickly installed, just like Windows users.